Up to 4800 dpi optical resolution With up to 4800 x 4800 dpi hardware resolution and up to 40,800 x 56,160 effective pixels for accurate photo and document reproduction. 48-bit internal color depth Along with 24-bit external color depth, 16-bit internal grayscale depth and 8-bit external grayscale depth for realistic detail. 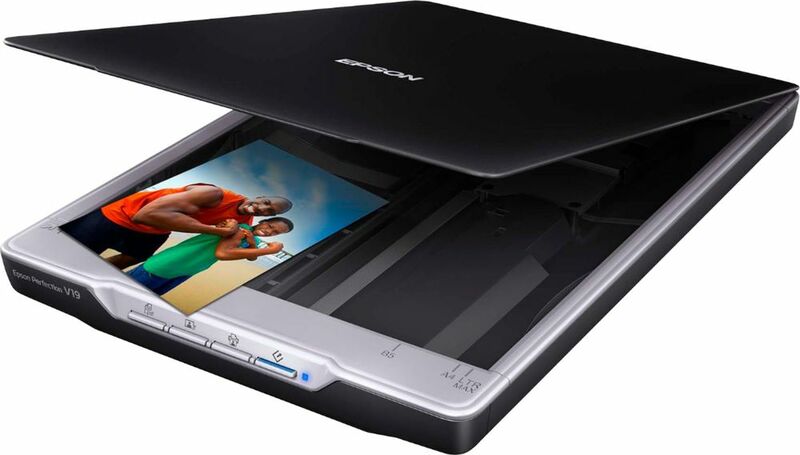 8.5" x 11.7" maximum scan size Enables you to capture entire pages. Scans a letter-size document in as little as 10 seconds at 300 dpi Plus scans in as little as 30 seconds at 600 dpi for rapid performance. 4 buttons Include PDF, send, copy and start, so you can easily scan to e-mail or create PDFs. Easy Photo Fix technology Allows you to restore photos with just a click. 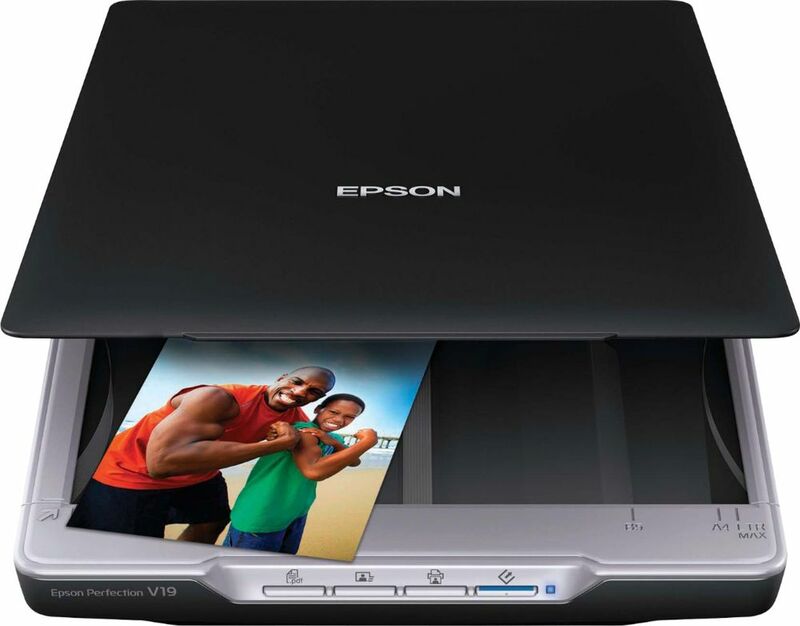 Advanced digital dust correction Helps you remove dust from scanned photos. 3-color RGB LEDs Enable fast scanning with no warm-up time. Built-in kickstand Allows vertical placement. 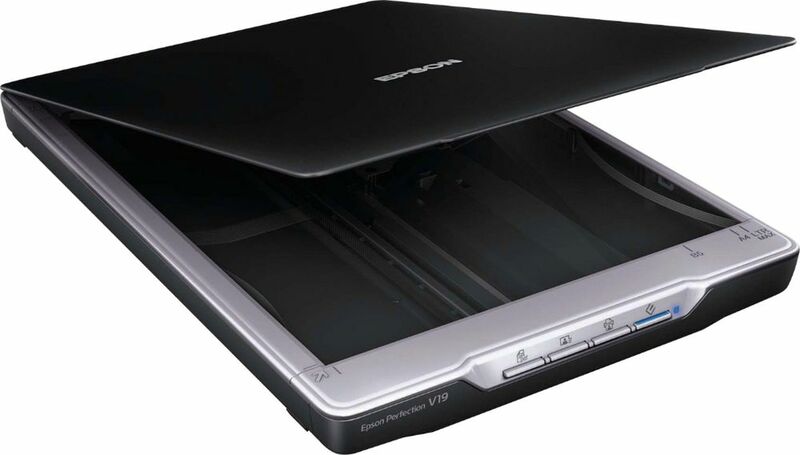 The removable high-rise lid lets you scan books, photo albums and other oversize media. High-speed USB 2.0 interface Makes it easy to connect your PC or Mac. 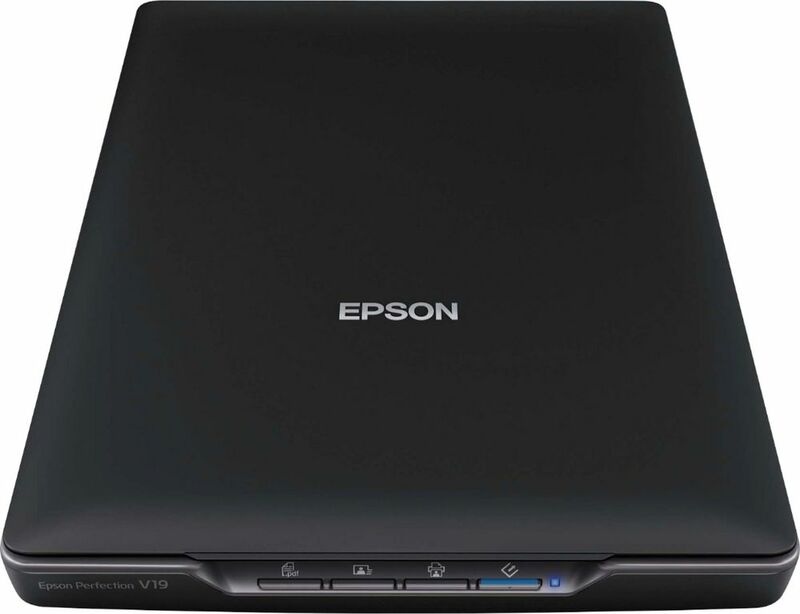 Epson Easy Photo Scan software Enables you to scan and share to Picasa, Evernote, Facebook and select Cloud services.